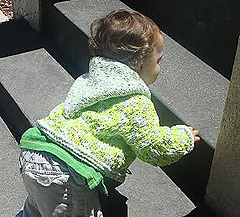 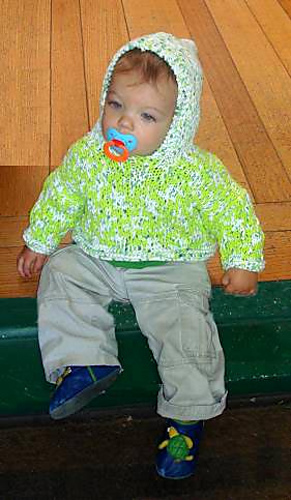 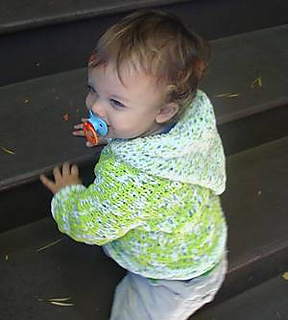 This hoodie knitting pattern for babies and toddlers uses an easy to knit mosaic stitch pattern. 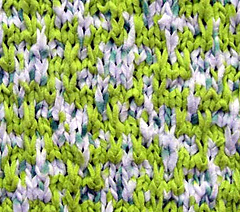 If you wish, you can knit the body and sleeves in stockinette stitch instead, beginning with garter stitch so it doesn’t roll. The pattern uses a machine washable yarn of cut fleece. 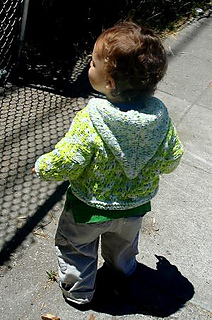 It’s extremely soft and will remind you of your favorite sweatshirt.